Ideally located in the heart of the city of painters, to the shops, beaches and harbor, as well as colliourse station. Our 3 stars hotel offers 26 rooms very comfortable modern style, equipped with a/a, television and free Wi-Fi conection. For famillies, we offer connecting rooms and a family suite views over the castle and the bay of collioure. Continental breakfast is served buffet style in the dining restaurant in the quaint decor or terrace. you also have the possibility to choose the half board. We have a lift but the structure of our facility allows us unfortunately not acccommodate people in wheelchairs, Quick book your stay safe and enjoy our offers blow of heart to please your loved ones. 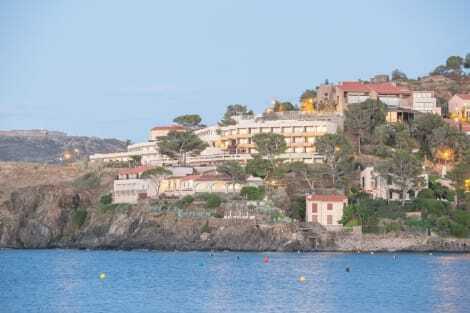 With a stay at Pierre & Vacances Résidence Les Balcons de Collioure in Collioure, you'll be near the beach, just a 5-minute walk from Musée d'art moderne and 10 minutes by foot from Royal Castle. 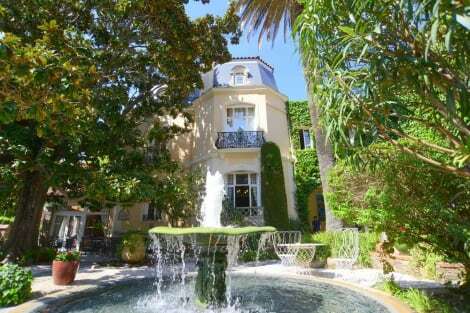 This residence is 10.7 mi (17.2 km) from Saint-Cyprien-Plage and 16.1 mi (25.9 km) from Canet Beach. Featured amenities include a 24-hour front desk, multilingual staff, and a library. Self parking (subject to charges) is available onsite. Based just a few miles from the Spanish border, Collioure has a strong Catalan heritage. It's a truly stunning place to visit, with sweeping views across the azure Mediterranean Sea, a sandy beach and a colourful collection of houses dotted along the hills. Collioure's undeniable beauty has attracted visitors throughout the ages, and since the early 20thcentury it's been a haven for visitors, especially for artists and writers. If you're planning to visit, make sure to come during the annual Saint Vincent Festival to see the town in full swing. Explore the medieval streets of this ancient town, and you'll come across many treasures, not least the impressive 800 year old Collioure Royal Castle, nestled on the edge of the cliff overlooking the sea below. Another top must-see is the Notre Dame des Anges, a church made from a converted lighthouse, and also the centuries old Fort of St. Elme on the hilltop. To be able to see the whole town from a unique perspective, you can even catch the little tourist train that travels through it. There's no shortage of great places to dine in Collioure. For Michelin star, fine dining, go to Restaurant La Balette. For a more laidback supper, Paco is a buzzing tapas bar worth checking out, and El Capillo serves authentic French dishes. For great Collioure hotels, try to find somewhere traditional and close to the centre of the town so you can be near all the best sights. Casa Pairal, Hotel Madeloc and Hotel le Saint Pierre are all popular with visitors. So if you're looking to experience a trip of a lifetime in a stunningly romantic and historic setting, make sure to check out Collioure.